Spring is a pretty time when the flowers start to bloom, trees bud, and the Earth comes alive. Winter is long and cold where I live so getting outside in the sun and warm weather is exhilarating. I’m still waiting for it to warm up, but I know it will happen. 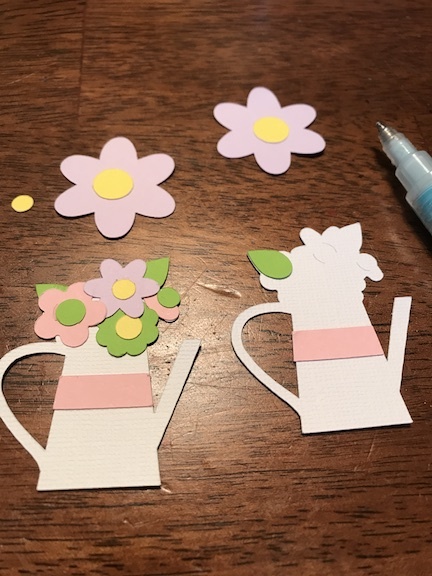 For this months Craft and Create Cricut Challenge, I wanted to make a paper craft so I’m making a spring banner. 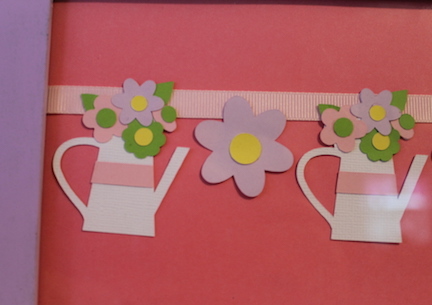 Paper crafting was my earliest creative passion with scrapbooking and I love beautiful paper. 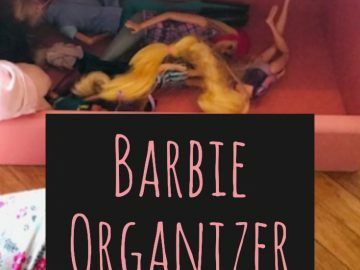 his post contains affiliate links which means I may make a small comission of any sale that is made by clicking on any of the products with no cost to you. Your support is greatly appreciated. Plus I haven’t used my new Cricut Maker yet for paper and I really wanted to give it a try. This spring banner was exciting for me and the Maker didn’t disappoint. 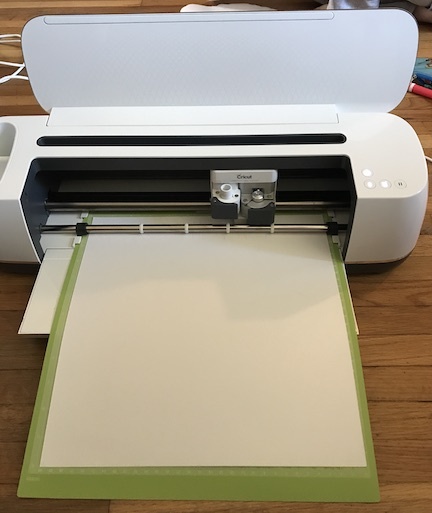 My first Cricut was the Explore and upgrading to the Maker was amazing. If your thinking about upgrading I highly suggest- YES!!!! 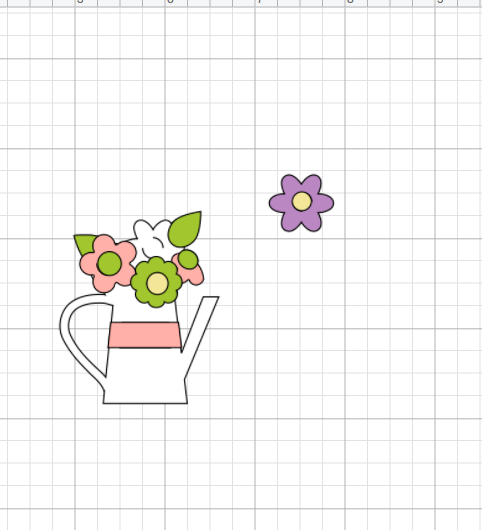 In Cricut Design Space™ using my Cricut Access Premium, I found this adorable image of a pitcher with flowers in it. Since I am addicted to the farmhouse style, this flower image spoke to me. 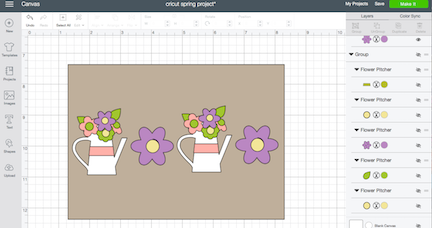 For the spring banner I wanted to do the flower pitcher, flower pattern. To make things easy, I decided to use the flower from the flower pitcher image. 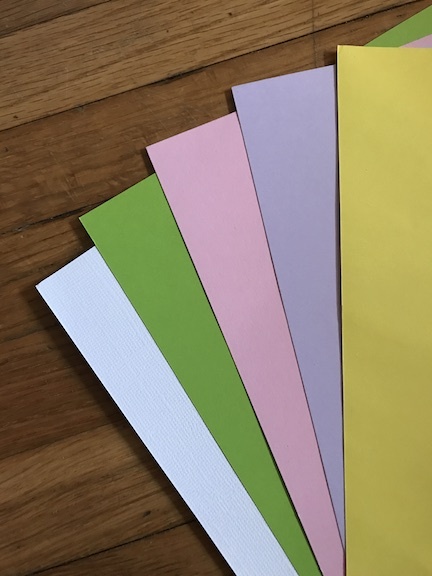 Choose your color palette and start cutting your beautiful design. As I cut my pieces I like to keep them sorted in piles so it will be easier to glue later. 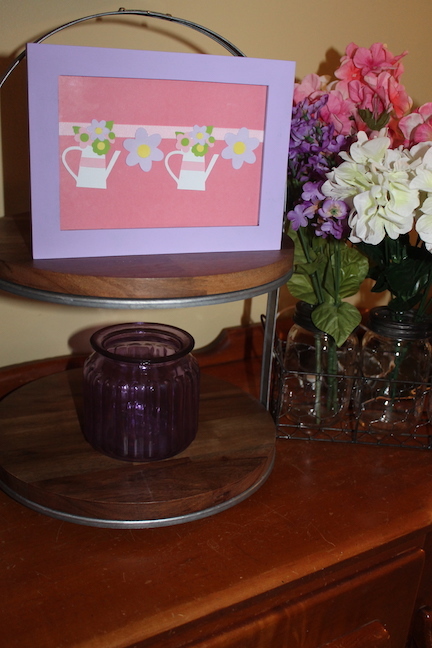 The flower pitcher is detailed so I like to look at the image in Design Space as I glue it to make sure it’s correct. 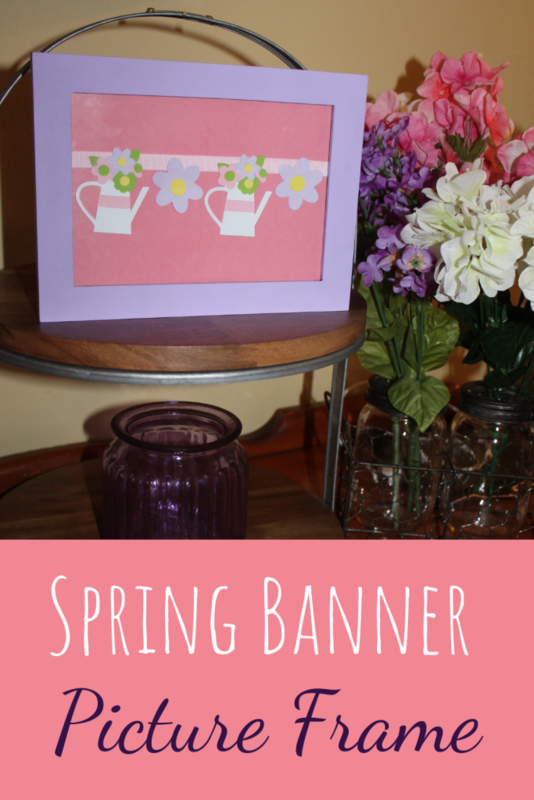 Now that my beautiful spring banner is ready, I’m going to paint a 5×7 picture frame to put my spring banner in. This is going to be a perfect addition to my spring decor. The banner will be strung on ribbon and I’ll use glue dots to adhere the images. This paper craft is perfect for using up scrap paper, is easy to make, and is budget friendly. 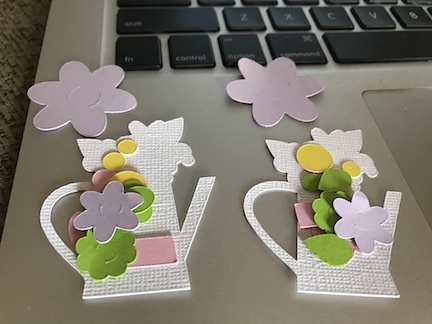 I love paper crafts and I can’t wait to make more with my Cricut Maker. Let’s find out what all my Cricut friends made for this month’s challenge.